Solar instructors transmit the industry’s fundamental principles and best practices — in science, technology, craft, and safety — to students at every level. They are experts, teachers, visionaries. Committed to advancing clean energy, these instructors are the people who teach the rest of us how to do solar: they educate stakeholders across the economy. Some instructors already teach in a related field at a 2- or 4-year college, integrating solar specific instruction into a broader class or program (architecture, say, or HVAC/R or electrical engineering or construction management). Others teach dedicated solar courses or programs at industry-specific training centers run by unions or community groups or non-profit clean energy organizations. 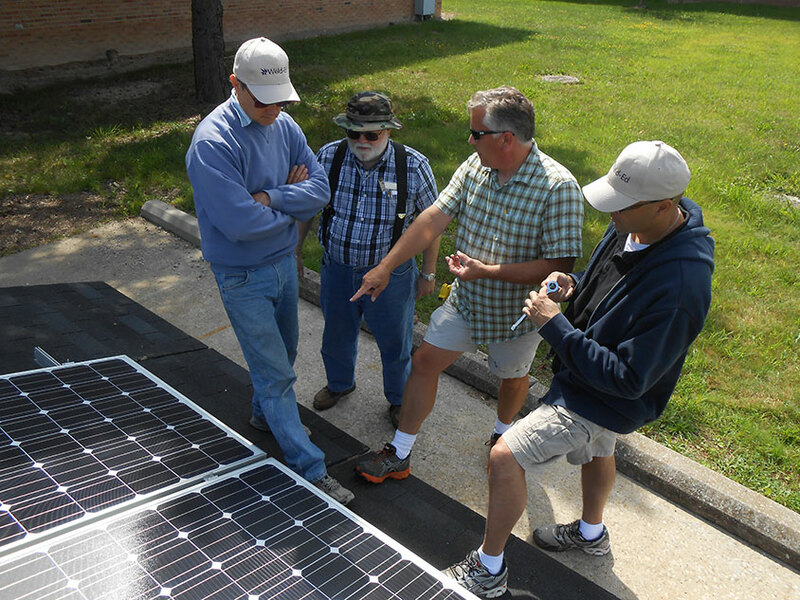 Solar instructors may develop curriculum and design courses; their primary mission, however, is to teach, assess, mentor, and advise students. Solar instructors are associate- or journey-level solar professionals, often licensed electricians with technical trades training or engineering degrees. Some institutions may require a bachelor's degree. Coursework or a credential in education adds tremendous value, as does certification.